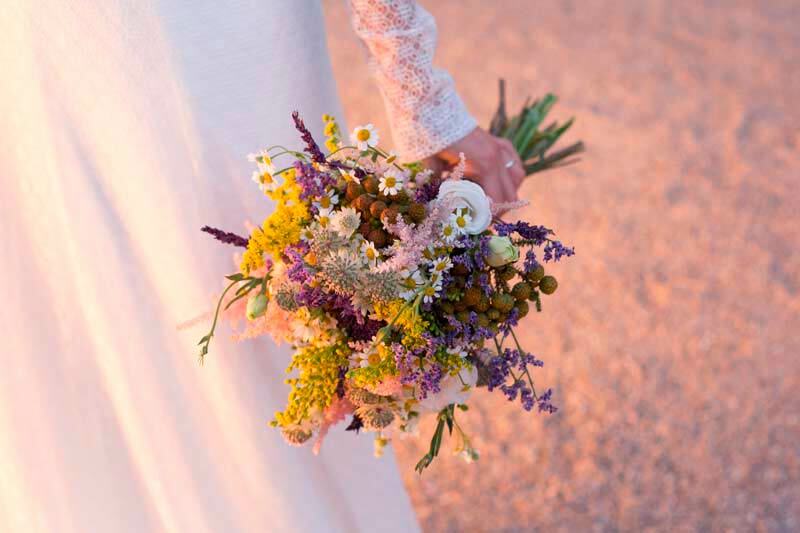 Today I’ve prepared 5 tips that will help to organize your rustic wedding, from choosing the kind of flowers, to your wedding dress. ♥ Custom wedding invitations, always! 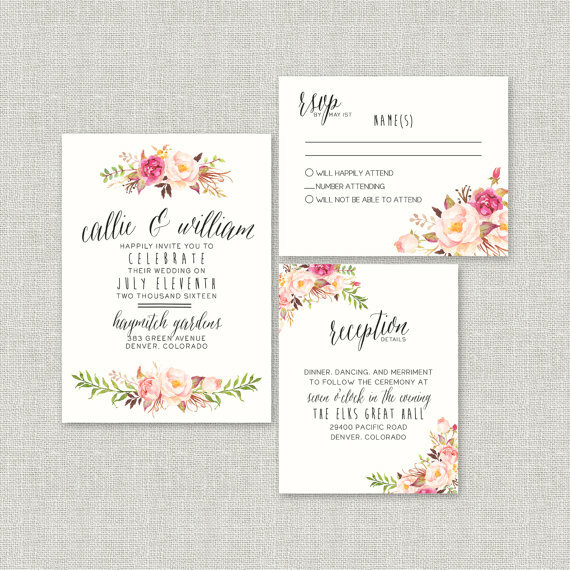 But I specially like the handwritten paper invitations with the bohemian look that I’m always looking for like this one by Splash of Silver. 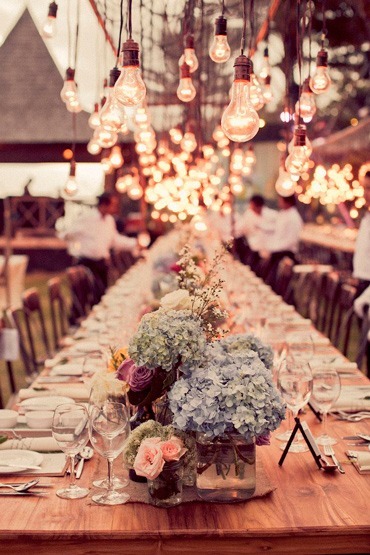 I really like the rustic weddings that transmit warmth and honesty that will be on your wedding day. A good option is to design a custom stamp with your capital letters, day and place of the wedding and choose a thickness beige or brown paper with vintage style, print the details and stamp it. Fill all the space (and you!) with lots of silvester flowers from different colors and shapes, with long stem, like if you’ve just picked them up from the forest. Mix them with green plants and small branches and put them in antique glass bottles. 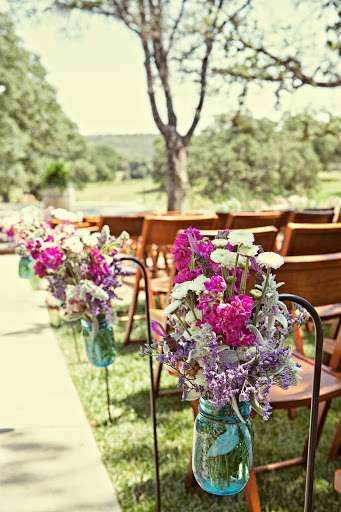 You can tie them to the chairs in the ceremony with a lace ribbon or a string. 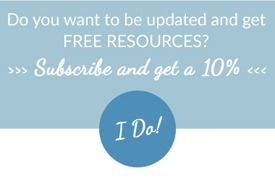 Explain your guests how the wedding space is organized and what you’d like them to do. Would you like your family and friends to write on the guest book? Would you like them to make some pictures in the photo call with a Polaroid? Do you want them to dance? Handmade wood post with hand written indications. Your guests will love these personal messages. 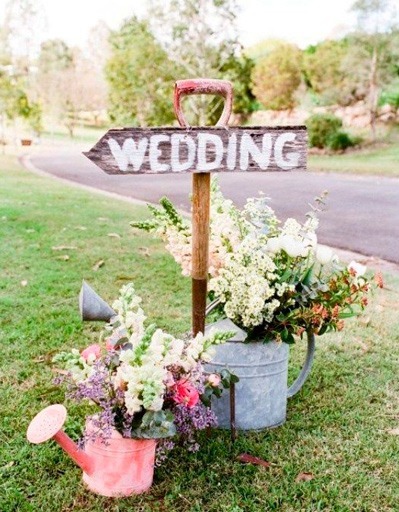 Your wedding decoration is lovely but you are the one who’ll give the style to your wedding. 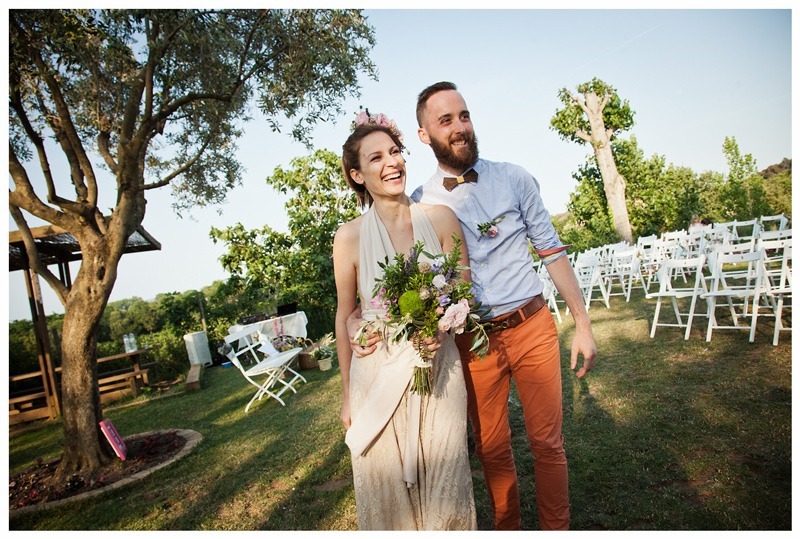 A relaxed bride, fresh, with an off white lace wedding dress, with vintage accessories (you can ask to your family) and a groom with a pair of slim coloured trousers, vest, micro printed shirt and bow tie make everyone die of love. I absolutely love table decoration. Wow, I start thinking in styles and details and I’d never end! Flowers in vintage bottles (you can buy them in a antiques dealer, ask to your family and friends, go to a flea market to buy bottled drinks at the supermarket with a nice design, like the one from Anís del Mono, that is Mad Men style) with cords and lace, wooden details in the table, the names of your guests with the same typo as your paper invitations (and paper and stamp) and a table runner are prefect for a rustic boho wedding. And don’t forget to add festoon lights! I hope you liked my suggestions. I’m sure you have thousands of ideas for your wedding and I’ll be happy to hear them down in the comments. Thanks a lot for being here reading my post. 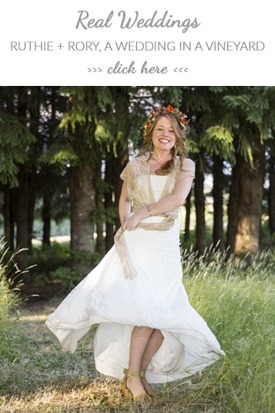 This entry was posted in Blog, Tips for brides, Tips for bridesmaids & party, Tips for happy mums to be and tagged bohemian wedding, boho weddings, rustic wedding, tips for weddings. Yes……!!! 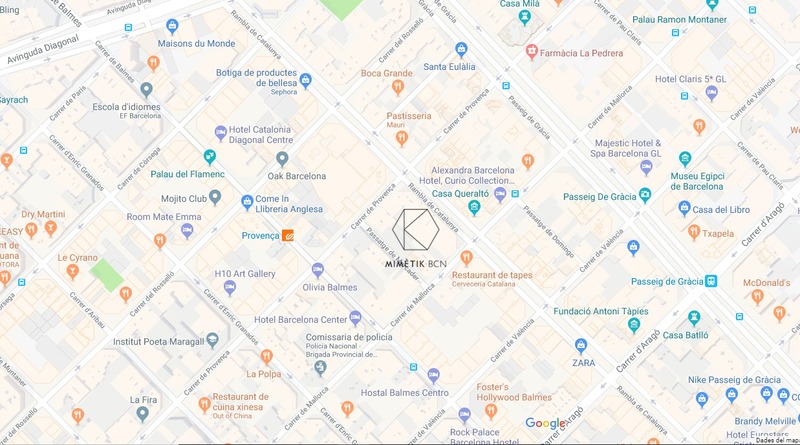 What good ideas …. !!! 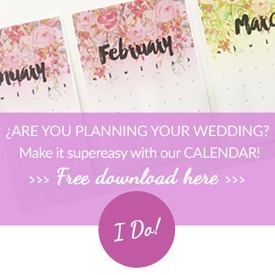 Of course that I subscribe and when I help any couple with wedding I do mainly to direct his questions and encourage them the more you do for themselves and get involved, the more they will have fun … The grand ceremonies are so “outdated “and pretentious …. ….. simple, intimate, with few real guests are importing a dress mimetik …….. …. and because they are very precious! Wedding to fly….! !